Taking your car to the continent offers you complete independence. 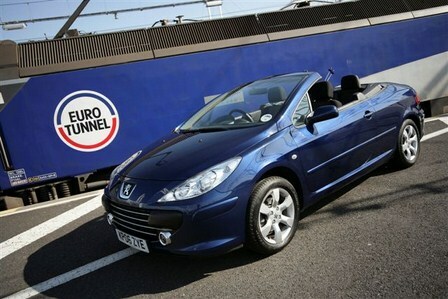 Eurotunnel is the fastest cross-channel operator so you arrive on the continent, in only 35 minutes. On leaving the shuttle expect excellent motorway networks to keep you moving. Eurotunnel offers a reliable and frequent service from Folkestone to Calais - up to 3 departures an hour during peak periods. Proceed to the Self Check-In lanes signposted and look out for the kiosks situated before the main booths. • Simply key-in the eight digit booking reference number that we will give you and follow the instructions displayed on the touch screen to obtain your hanger. • Once your hanger is printed, you can proceed to the Passenger Terminal Building for some last minute shopping or, if your letter corresponds to the next departure, go straight to the allocation lanes. The process is exactly the same for your return journey. It really couldn't be easier! FlexiPlus ~ Why not take an upgrade? Relax and enjoy your journey without having to worry about arriving on time for your departure. As a FlexiPlus customer you have use of exclusive Check-in booths and you will be offered the next available departure. For alternative short sea crossings, please contact us for more information. 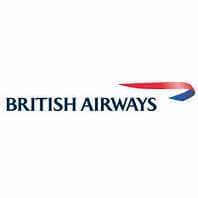 A Golfing Experience works closely to develope luxury golf breaks to the Caribbean with its preferred airline partner British Airways. 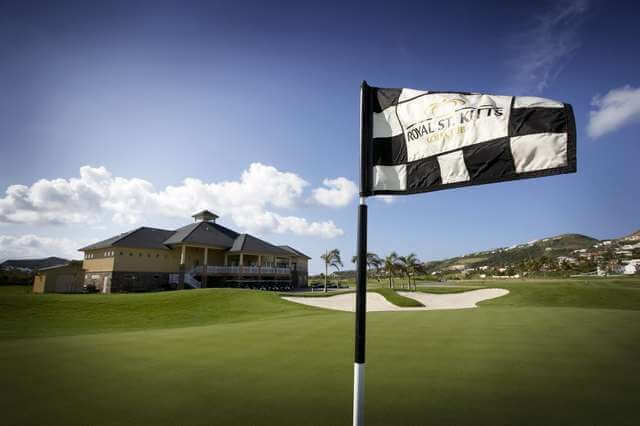 The latest developement has been to increase golfer traveller numbers to St Kitts & Nevis. This amazing pair of islands has two fantastic courses and of course cricket and all the other Caribbean specialities we love. Our joint venture in association with St Kitts & Nevis Tourism, England's Barmy Army and British Airways saw golf travellers experience the first Golf & Cricket Tours in April 2016. This is to be followed up with England ODI matches vs the Presidents XI in February 2017 & CPL in June 2017. A Golfing Experience has also been working with British Airways and Bermuda Golf Tourism on developing golf tourism in the amazing island of Bermuda since 2009. Information about new and established events can be found on our website page for Bermuda. This includes the Grey Goose World Par 3 Championship at The Fairmont Southampton Hotel & Turtle Beach Golf Club, The Bermuda Paradise Pairs Event , The Bermuda Open and The Women & Golf Magazine Bermuda Trophy now in its 7th Year. The British Airways flies direct daily (winter schedule may vary) from Gatwick to Bermuda. This is a daytime flight and arrives at sun down just in time for a Dark n Stormy cocktail Bermuda's National drink.